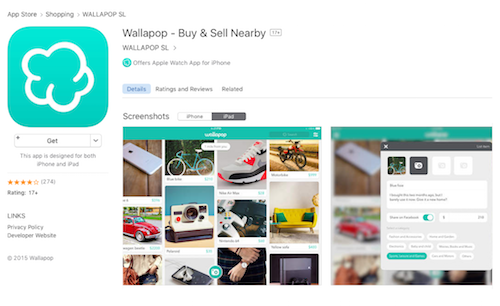 Wallapop offers you the ability to buy or post items to sell to people within an allotted one-mile area. This mobile application and website helps you sell the stuff you no longer need and lets you buy the stuff you do want at reasonable prices. If few or no results appear in the one-mile area, you can modify your search criteria to include your city, popular cities, or top-rated listings. 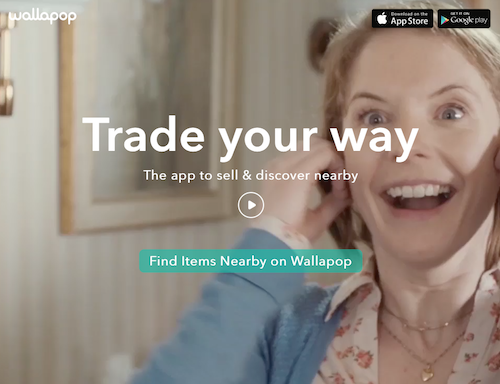 You can use Wallapop to find a product no longer sold in stores or to hunt for great deals. Most Wallapop ads will contain gently used items, but occasionally you may find a product marked as new or unopened. Sales are typically final and all products are sold “as is,” however, sellers may offer a return option at their own discretion. Selling your items online to a local audience is not a new idea. 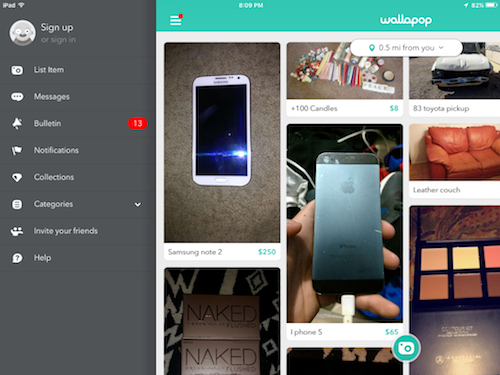 Wallapop can be used as an alternative to sites like Craigslist.org, a popular classifieds website that has been around for many years. You can gain access to Wallapop three different ways. Apple iOS Wallapop app: If you use an iPhone, iPod, or iPad, visit the App Store and get the Wallapop application. Wallapop is also available on the Apple Watch. Wallapop for iOS is free. Tap “Get” to download the app. 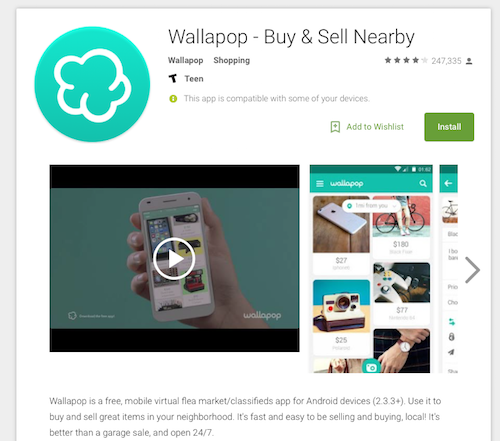 Android Wallapop app: If you use an Android tablet or smartphone, visit the Google Play Store to install the Wallapop app. Wallapop for Android is free. Tap “Install” to get started. Wallapop.com website: The Wallapop website offers listings of items in your area. You can share listings, view photos, and see map details. However, you cannot chat with the seller or purchase a product without downloading the mobile application. Credit: Image courtesy of Wallapop.com. Using Wallapop.com is easy. Tap or click “Find Items Nearby on Wallapop” to get started. Wallapop is easy to use. The app lets you post items for sale and browse items posted by other sellers. The website is designed to provide quick access to your local listings. Keep in mind, even though you can view listings, you cannot post or purchase anything from the website. All transactions must be made through your account within the Wallapop app. After you download and install Wallapop, using the application is easy. Launch the app and allow location services to determine your one-mile radius. You will then be presented with the Wallapop home screen and can view all the listings within the search area. If no posts are available in your area, you will see an expanded search of your town or closest major city. The navigation bar and pop-out menu are a breeze to use. Sign up/Account: You must sign up before you can post or purchase. Sign up is easy. Simply tap on the Facebook or Google button to create an account. If you are not already logged in, enter your credentials. The Account screen shows your profile information and a summary of your active posts, items sold, reviews, favorite posts, and items purchased. List Item: The List Item screen allows you to take photos and add descriptions to items you wish to sell. This screen is where you will set prices and select categories. You will also use this option to set alternative purchase options such as, accepting trades, setting firm prices, and setting shipping availability. Here, you can choose to share the post on your Facebook wall as well. Messages/Chat: The Messages/Chat screen is where all of your contact with buyers and sellers will take place. This is where you can haggle prices, offer trades, and confirm sales. Bulletin: The Bulletin screen shows a variety of different content. You can see what’s happening with the Wallapop team, enter contests, and read interesting Wallapop posts. Collections: The Collections screen is where you can shop by category collection. For example, Lebowski: Day of the Dude is a collection that offers products related to the Big Lebowski movies. Categories: The Categories screen offers shopping by more generalized categories. For instance, Electronics, Home and Garden, Auto, and Office are some of the groups found on the Categories screen. Invite Friends: The Invite Friends screen is where you can send Facebook or Gmail massages to people in your contact lists inviting them to join Wallapop. Who knows? Maybe one of your friends will buy what you’re selling. Help: The Help screen offers you answers to frequently asked questions and the ability to contact Wallapop Support for help. Wallapop is technically not a “classifieds” app since it does not offer housing, job postings, or personals. The app and website are solely intended for selling miscellaneous items.